Gujarat Police Constable Exam was Conducted on 06th January 2019. Check Below for Correction Changes in Answer Sheet. 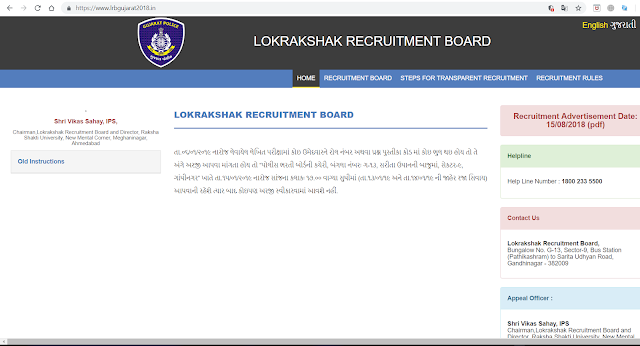 Department Name: Lokrakshak Bharti Board. Result Cut Of Marks: Not Decler. Official Answerkey : Click Here.